The American company was founded 110 years ago by Henry Turner and is now a leader in the construction industry. It operates in 27 states and has a wide network of offices in 4 continents. The first commandment is to apply the Lean Construction System: designing production systems in order to minimize waste of material, time and effort and therefore generate as much value as possible. The second rule consists of good planning combined with collaboration as a core practice. Project planning starts with digital media. Teams build 3D models to predict all possible complications. Collaboration lies in implicating every single employee in the firm so that the workflow is organic and uninterrupted. The third rule is a commitment to innovation. The proof is in the pudding, Turner has its own Innovation Award Program, offering a prize every year in an attempt to encourage employees to present proposals for method and technology improvements. Workers from all the levels investigate as a team, constituting a thinking brain that never stops working. Among its many technological developments we can highlight the implementation of steel-reinforced concrete, a technique in which they are pioneers. Finally, Turner Construction International LLC fulfills the duty of every company to respect the environment. It belongs to the Green Building Council U.S. and has 400 environmental active or completed projects. Formulas like this are what define the highest standards of quality. 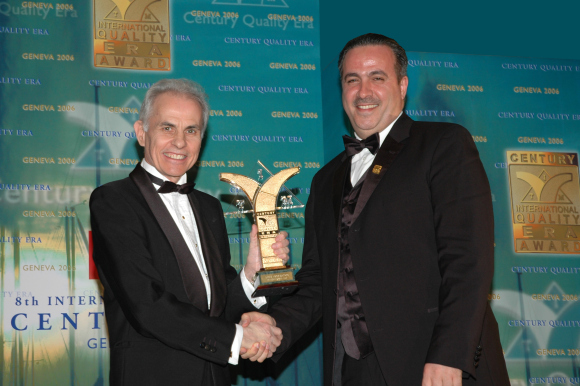 And not surprisingly in 2006 Business Initiative Directions presented this great company with the Century International Quality Era Award. The ceremony took place in Geneva and recognized the value of quality as principle, process and purpose of a business project.